The image is burned into the DNA of America. Even if you were too young to experience it as it happened, you’ll recognize the figure kneeling on a wide campus footpath. The young woman’s arms are extended to either side and her mouth is agape in what may either be a cry for help, scream of rage, or wail of mourning–perhaps all three. Around her, dazed college students seem to have lost all mooring on reality. Laying face-down on the hard concrete is one of the four slain victims of the 1970 Kent State massacre. This version, however, is different. The black-and-white photo you’re familiar with now appears in a vibrant array of colors–green fields and bright scarlet classroom buildings, blue jeans and red blood. Also, the layers don’t stand still. 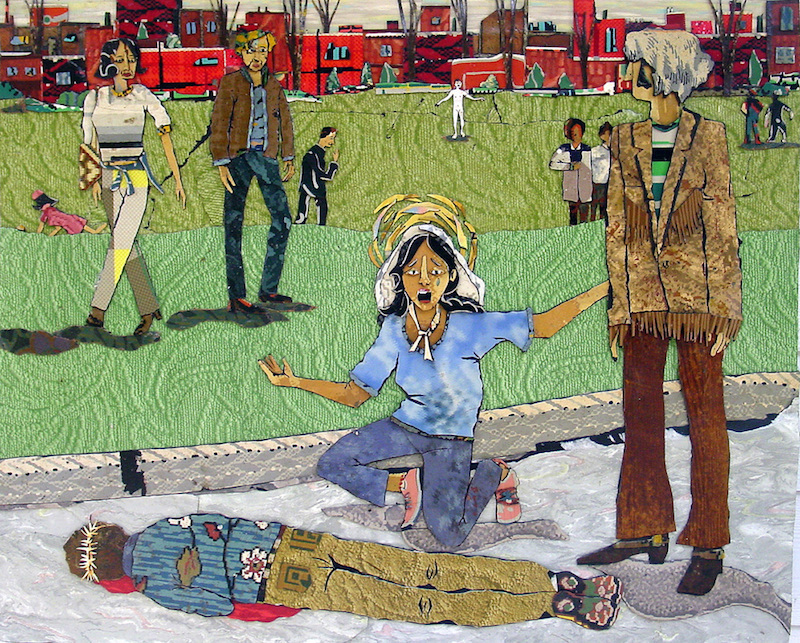 Rich, swirling grass seems to be in turbulent sea motion under each of the participants; clothing is alive with texture; every detail–hair, shadows, sidewalk–has an optical illusion-like quality that manages to be both flat and with an inverted depth that places any figure on just about any plane, if you look at it the right way. When we bought the house, the two rooms of Chez Orbit‘s top floor were covered in a pair of space-age “boomerang modern” mid-century designs completely out-of-place in a 19th century brick row house. The linoleum–a pattern with colorful geometric curved squares intersecting and overlapping all manner of sci-fi cubes, circles, and squiggles–had been installed way back in 1955. Yellowed back pages of The Pittsburgh Press from that year formed a thin barrier between the pine floor boards and the unrolled, wall-to-wall tile and served to precisely date the installation. The linoleum had some scuffs and tears for sure, but the material held up. When we finally decided to work on the third-floor space, this can’t-throw-anything-away blogger dutifully held onto both the Jetsons-style floor covering and the innocuous news of the day for way longer than he had any reason to. Why? Well, the linoleum just seemed really cool and somebody should do something interesting with it. 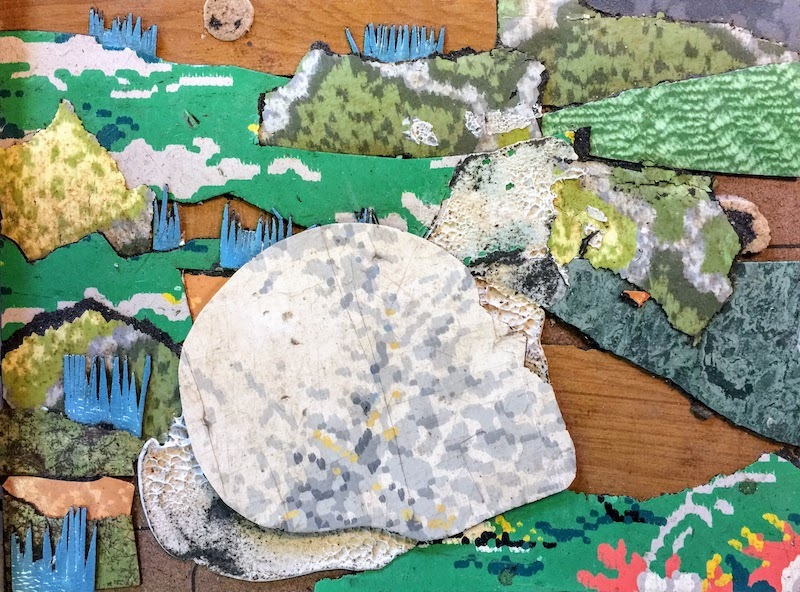 That somebody, we found out way too late, is Bill Miller and for the last twenty-some years he’s been slicing and peeling, tearing and rearranging the nation’s discarded high-performance floor covering into a terrific body of artwork. 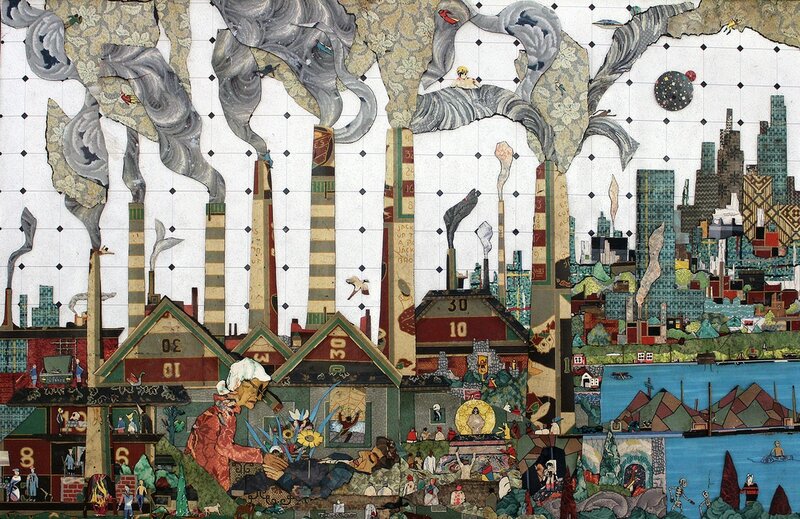 Both pastoral and industrial, historic and fantastic, Miller’s (re-)use of the material manages to look both backward and forward, to be sentimental and transcendental, to be both calming and unnerving. It’s sprung from the artist’s imagination and–like the take on Kent State–totally reverent to a real, shared history of America in the 20th Century. The linoleum is exciting. 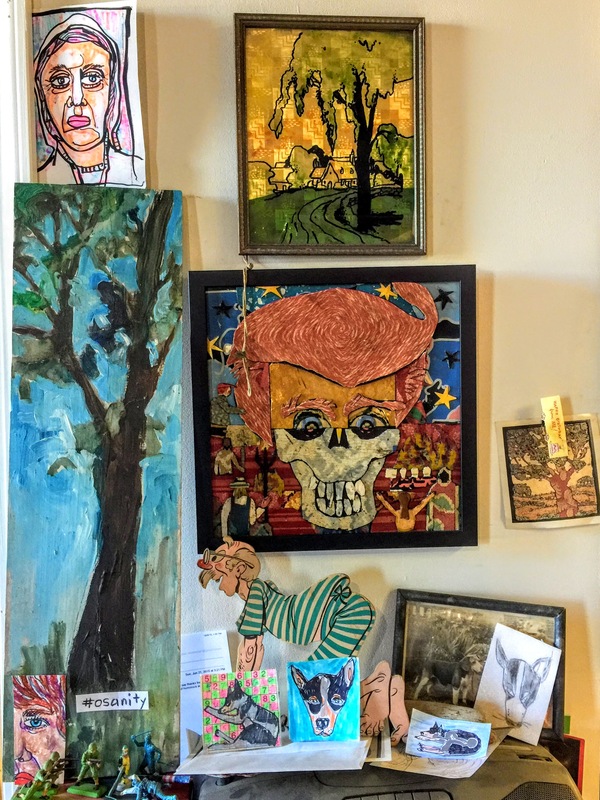 Surrounded by heaped cardboard box-loads, piles stacked from the floor, and work tables full of sliced bits and bobs, Bill Miller’s North Point Breeze studio has a hundred attics’ worth of somebody-else’s memories just waiting to move from the floor and up onto the wall. There are geometric mid-century designs like the ones we used to have upstairs, along with wood grains, ersatz Oriental carpets, floral arrangements, psychedelic swirls, and designs for children’s playrooms. The particulate from a century’s worth of disintegrating linoleum peppers the air as a dozen different simultaneously-in-process artworks lay on work tables waiting for their next addition on the road to doneness. Don’t worry, though–it’s all natural, non-toxic stuff. Linoleum is made from linseed oil applied to a burlap or canvas backing. The flooring had its run from the late 1800s through the mid-20th century when cheaper, more durable vinyl took over the market. Miller doesn’t mess around with PVC. “Only the old stuff–pre-World War 2,” he says. As one might expect, there are certain colors, shapes, and patterns that either don’t exist or just don’t show up that often in the recycled linoleum supply. True black is particularly rare, Miller says, and he almost never comes across purple. Other patterns speak to Miller immediately. “The material is part of the composition,” he says. A speckled red and blue on an off-white background was so obviously birch tree bark that it had only one purpose. Looking at it now, laid out on on a work table and (nearly) fully-composed, it’s hard to imagine what the raw piece looked like before it got trimmed down to tree trunks–it’s just so perfect in its final composition. … and then there’s the rock-and-roll. This interview got majorly side-tracked when both parties started geeking out on record shopping, music fandom, Bob Dylan’s radio show, The dBs, and Sonic Youth. 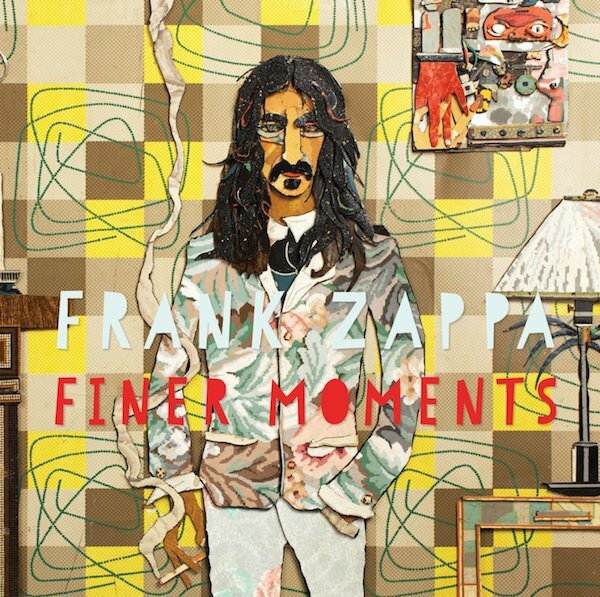 This is only really relevant because Miller is very obviously a huge music fan who fulfilled a personal dream in hooking-up with the Frank Zappa estate to produce album cover artwork for two of the musician’s posthumous releases. 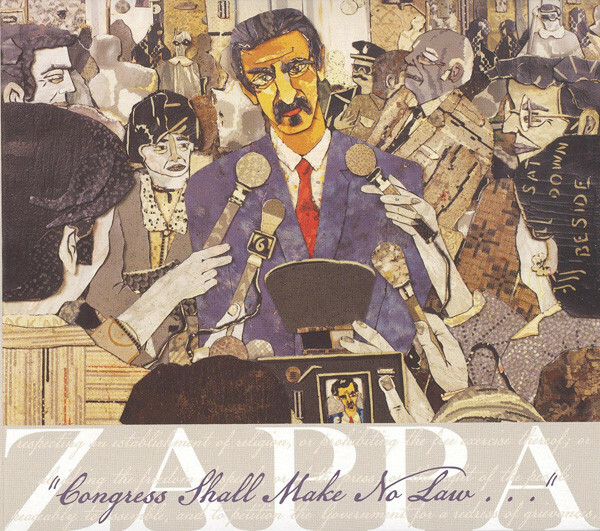 The live compilation LP Finer Moments (Zappa, 2012) and spoken-word/congressional testimony CD Congress Shall Make No Law… (Zappa, 2010) both feature Miller’s renderings of Frank Zappa created specifically for each of the records: one, early ’70s Zappa, long-haired and smoking; the other, mid-’80s suit-and-tied, talking with the press. 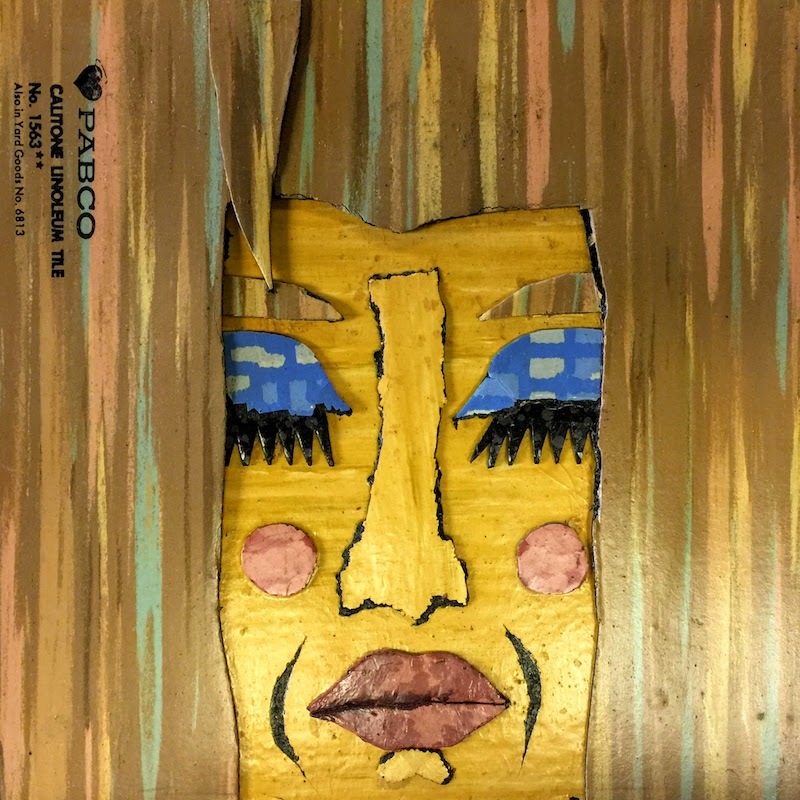 Miller has converted linoleum into numerous tributes to music icons including The Beatles, Bob Dylan, Mahalia Jackson, David Bowie, Maybelle Carter, Hank Williams, and Brian Eno. 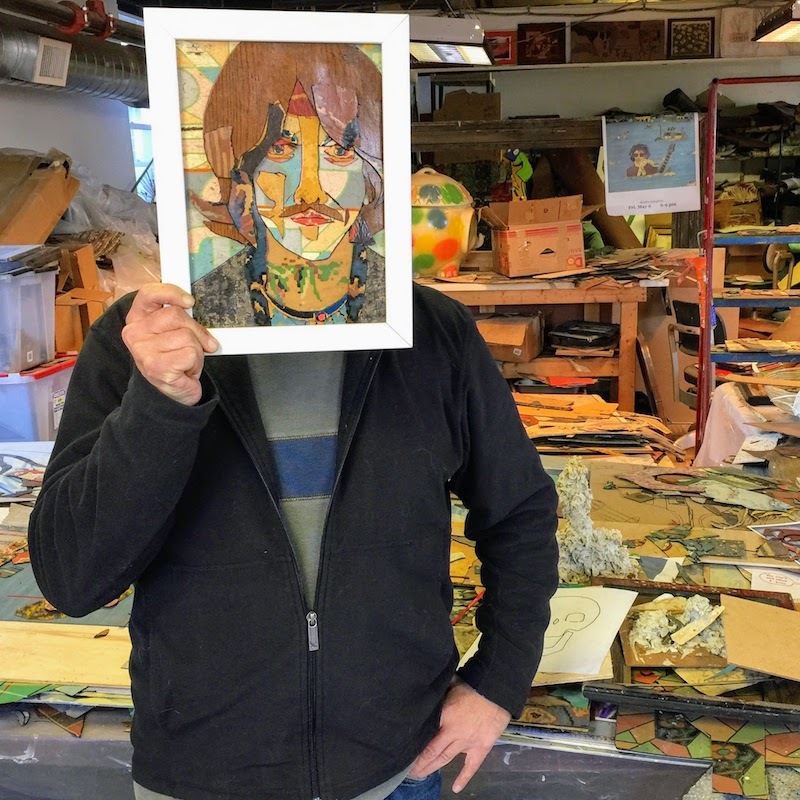 Among the collectors of his work are musicians Neko Case, Dave Matthews, and The Eagles’ Timothy B. Schmit. Oh, there’s a lot more that could be said. 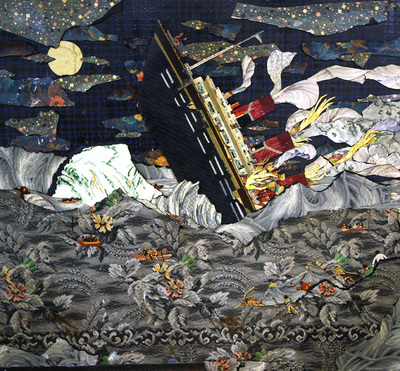 There are Miller’s depictions of American history in the form of Abraham Lincoln, the sinking of the Titanic, landing on the moon, and the Kennedy assassination, along with more conceptual/impressionist pieces around urban/industrial life and personal reminiscences of his childhood and family life growing up in Cleveland…but that’s something for another story. It would be great to end this piece with an invitation to view Miller’s work at an upcoming show, but…he’s got nothing scheduled for Pittsburgh in 2018 (sigh). For now, we’ll just say that Bill Miller’s inclusions in the 2016 Re:NEW Festival/DRAP Art show were a major revelation. We’re so glad we were able to track him down and that he took the time to welcome us up to his studio and into the linosphere. To see more of Bill Miller’s linoleum artwork, check out his web site billmillerart.com, or follow him on Instagram at @billmillerart. * Photos courtesy of Bill Miller / billmillerart.com. All other photos by Pittsburgh Orbit. WOW – stunningly brilliant work. As a huge fan of Frank and Dweezil Zappa’s musicianship, Bill Miller really has captured Frank’s essence. Once had a friend in Sydney who was a very talented linocut artist and it is a very difficult and exacting genre that requires infinite patience! 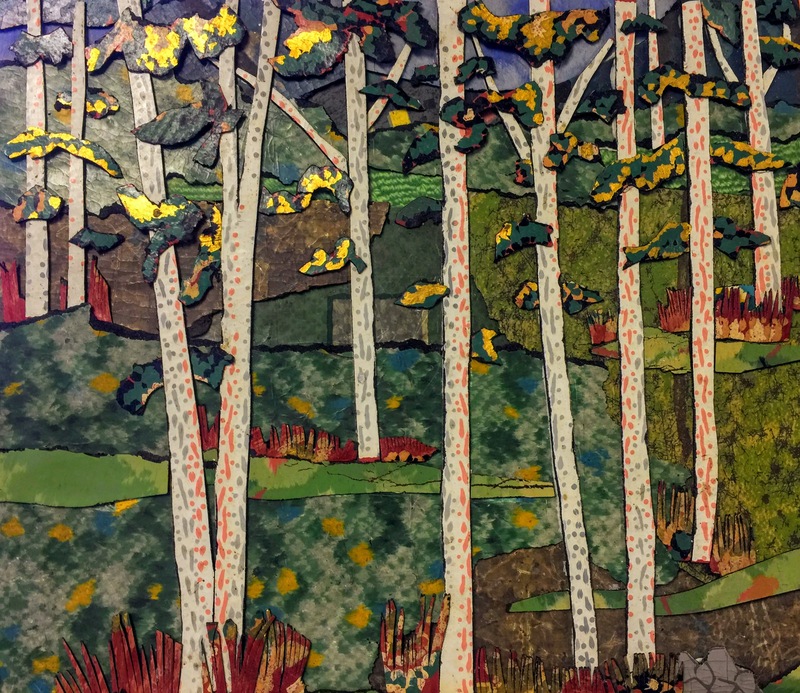 Looking forward to learning more about Bill Miller’s linoleum art. Agreed: Bill (and his linoleum) is terrific!